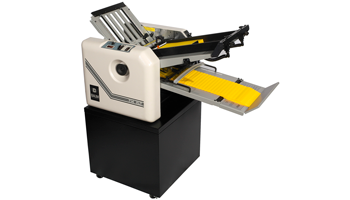 Baumfolder Folders, Cutters, & Creasers/Slitters - Recognition Systems, INC. 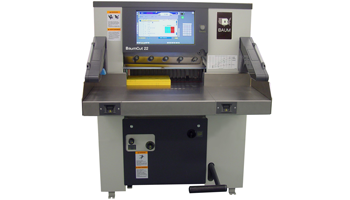 Dot Works offers you the complete line of Baumfolder finishing equipment. In addition, we have certified service technicians to provide phone support and expert on-site service whenever needed. Length behind knife is 26.4"
Max clamp pressure 3300 lbs. Min clamp pressure 400 lbs. Sheets can be loaded into the feeder hopper when machine is running, no need to stop and reload.